The original Thief Trilogy (The Dark Project, The Metal Age and Deadly Shadows) is one of my favorite gaming franchises of all time. It's also one of the most influential franchises of all time, with The Dark Project having pioneered the first-person stealth game and Deadly Shadows possessing one (if not THE greatest) horror levels of all time - The Cradle. When I heard that Eidos and Square Enix were partnering to revive the franchise, I was excited but wary. The first two games were designed for the PC. The final one was marred, somewhat, by having to be designed with console gamers in mind. 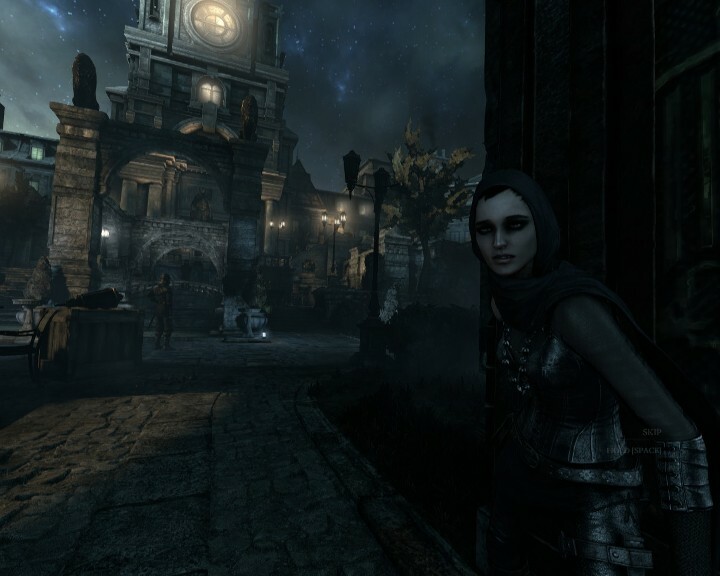 I feared that something similar might happen with this new Thief game, which was designed for the PS3, PS4, XBox 360 and XBox One. It did. But it's not quite so bad as I thought it would be. 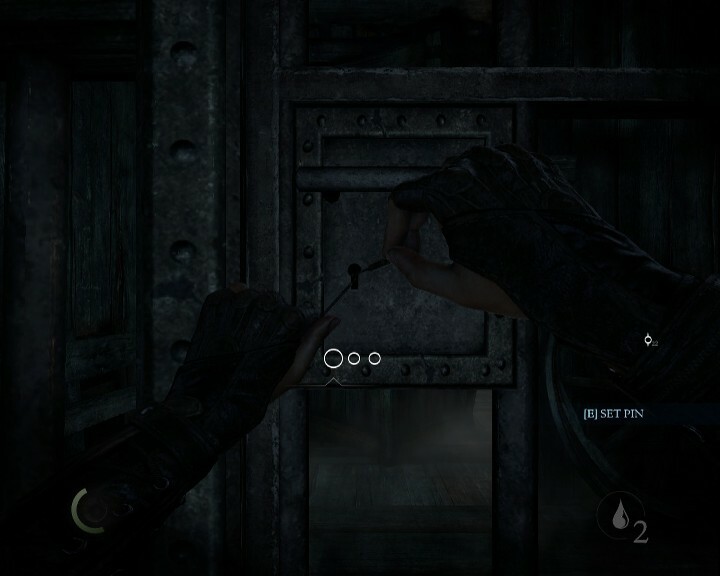 The interface and controls are much like the original Thief games, but with some additions taken from other, more recent Eidos games. Chief among these is the ability to edge around corners, that every stealth game has had since Batman: Arkham Asylum and Deus Ex: Invisible War. Another new feature, at least once you start the first mission, is the Focus ability. With the tap of the F key, you can highlight all the objects you can interact with, be they loot you can grab, enemies to avoid, objects to open in search of loot or items you can climb or use your grappling claw on. There's also a new Swoop ability that allows you to dash quickly between one patch of shadows to the next without having to switch between creep and spring modes. You can also move up behind a person and disable them with the Q-key for a Quick Takedown, rather than pulling out your blackjack. 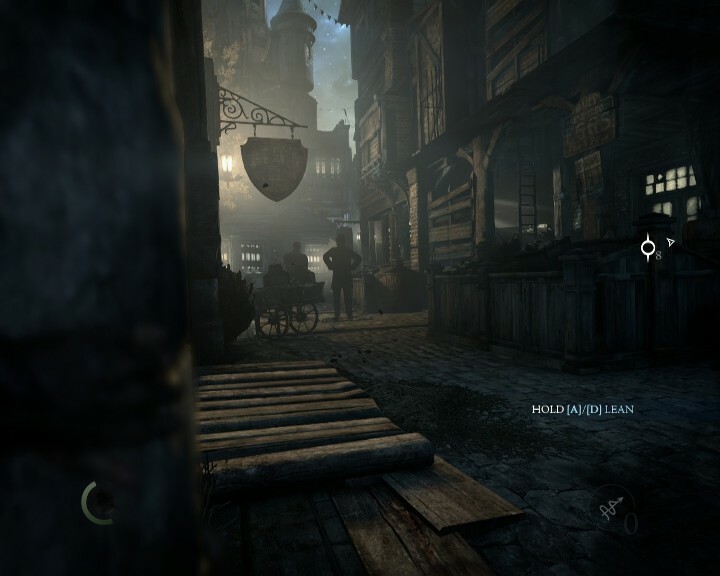 Thankfully, these new tools are optional - so far- and old-school Thief fans who want a classic experience can turn off options like loot glinting in the dark to increase the difficulty. This is in addition the three difficulty modes, which raise or lower the enemy AI as well as your ability to stay unnoticed in the shadows. 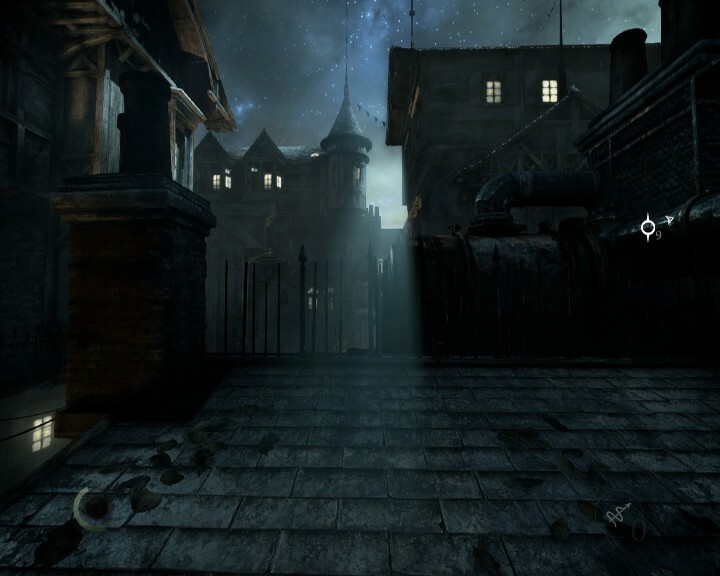 One problem with the PC version of Thief is long load times. This is a cross we have to bear with games that were designed for consoles and then ported to the PC. Many was the time I thought the game had frozen up only to suddenly spring into life. Amazingly, the game never crashed, though it did take me the better part of an hour and a half to complete the game's prologue with only one "death" in that time. Thankfully, the game looks gorgeous, even on an older system like mine and there's no difference in quality between the game-play and the cut-scenes. The plot so far is reminiscent of the original games while still being its own beast. The prologue sees Garrett (the titular thief) paired with another thief named Erin to steal a supposedly magical artifact from some nobleman's house. Hijinks ensue and the first chapter opens with Garrett trapped in a locked-down marketplace with the guards closing in and his escape options limited. 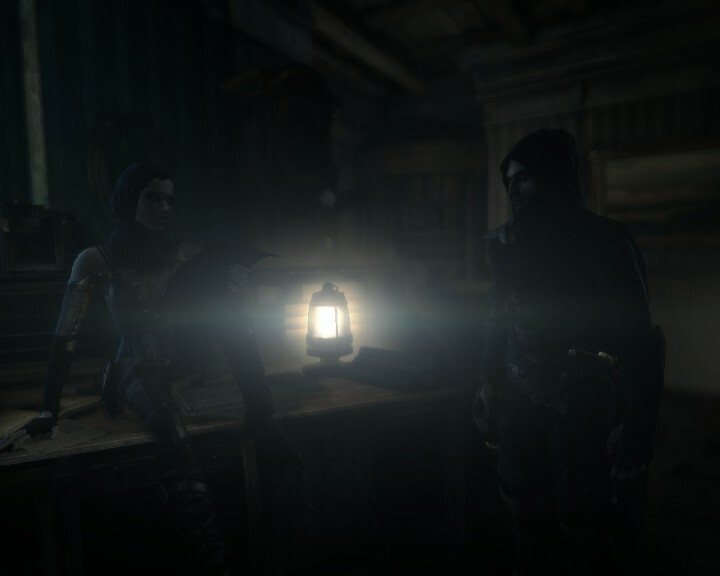 So far, I'm not disappointed in Thief. It's not as groundbreaking as Skyrim but I don't think it's meant to be. For those who stalked the streets of the city with Garrett 15 years ago, this game will be a welcome bit of nostalgia. 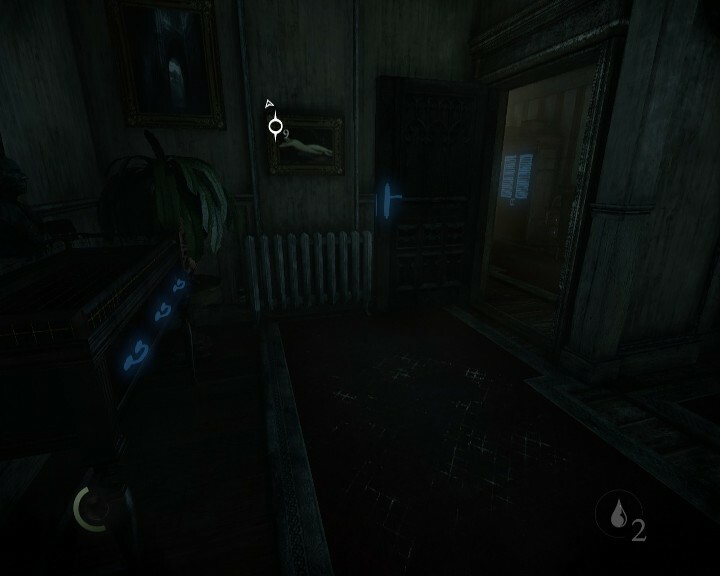 Fans of more recent stealth games will also find a lot they'll enjoy.